If given the option, most seniors would prefer to continue living in the comfort of their own homes as they age. Families and many health care professionals alike are looking for more ways to help the older adult do so in a safe manner as the population is seeing a proportionately increasing number of seniors than ever before. 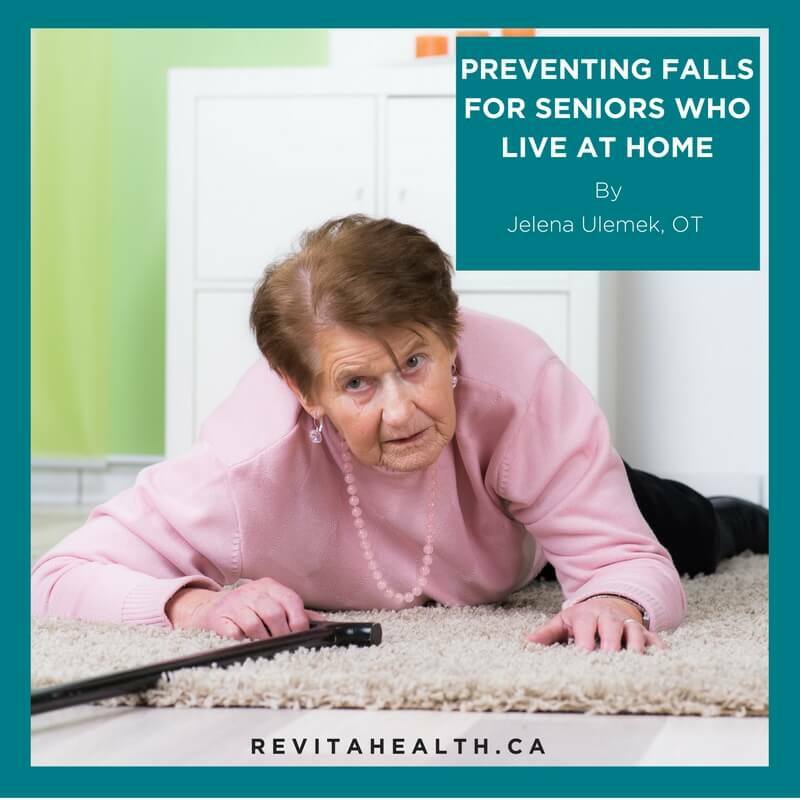 Often times, when we think of reasons that prevent seniors from continuing to live in their homes, we rarely think of a fall from such cases as loosing balance in the bathroom, slipping and falling in the kitchen, tripping over a rug or more seriously, a tumble down stairs. In reality, falling is the number one reason for a serious injury that can make continuing to live at home a big challenge. The American Medical Association (AMA) collects and publishes information on health and wellness. The AMA predicts that a fall occurs in one of three older adults over the age of 65. Not only are falls in this age category common, they can be fatal too. Falls are the most common cause of serious injury to the head and brain for the older adult. They are also the most common cause of broken hips, legs, and other bones that make it difficult to move around and do things for oneself, such as getting dressed, and bathing. Researchers have found that once a fall happens, individuals tend to be less physically active afterwards, thus possibly leading to a more sedentary lifestyle. With less physical activity, the risk of falling becomes even greater. Given the fact that falls have the ability to impact living safely at home and doing things for oneself; understanding how to prevent them is important. Fortunately, there are many things we can do to prevent falls, but first, let’s look at why they occur. Seniors tend to be less physically active as they age. Less physical activity, combined with older age leads to a loss of coordination, flexibility and balance; all which make it easier to fall. With aging often come changes in vision. The aging eye has a more difficult time seeing contrasting edges, therefore making it more likely to trip and fall on stairs, thresholds, and rugs as we age. Medication side effects. The medications themselves can have side effects that may cause dizziness, dehydration or may result in a negative interaction between medications. These can all affect balance. When your balance is affected, you’re more likely to fall. Most falls happen at home. How your living space is organized is just one factor about your home that can make one more likely to have a fall. Research indicates that more than 90% of older adults are living with a chronic condition such as diabetes, stroke, or arthritis. The risk of a fall is greater when chronic conditions limit our ability to move. So what can you do to prevent the risk of falling? Stay physically active, use all parts of your body and feel the environment around you. Remove clutter from your living space. Be sure that there is space to maneuverer and walk around freely. Keep important items in easy to reach places to avoid the need of climbing chairs or ladders. Wear a comfortable pair of durable indoor shoes with rubber soles. If wearing socks, ensure that they have a rubbery grip on the bottom. Who can you turn to for assistance? Health professionals such as Occupational Therapists and Physical Therapists have developed programs to help reduce the likelihood of falls occurring. Occupational Therapists and Physical Therapists are health professionals that can work together with your primary care doctor to help reduce the risk of falls. Outpatient and home health agencies in your community have Occupational Therapists and Physical Therapists that can assess your personal risk for falling as it is most likely that the older adult tends to fall within their home. Therapists can do a comprehensive evaluation at your home to determine what risk factors exist and what can be done about them. Check with your doctor for a referral to occupational or physical therapy. Reducing your risk of falling is one way to help ensure that you continue to live at home as you age.